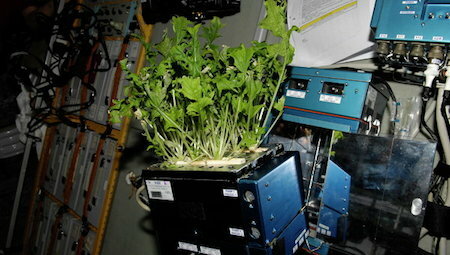 It's harvest-time on the ISS; Russian space farmers have been hard at work bringing in the crops. Levinskikh said that next year Russian cosmonauts will sow rice, tomatoes and bell peppers after repairing the station’s Lada greenhouse, a cooperative effort between the institute and the Space Dynamics Laboratory at Utah State University. Researchers have relied so far on analyzing root modules of the crops to verify them as safe to eat. They plan to grow rice and the grass species purple false brome, whose genomes have already been sequenced, in order to look for possible genetic abnormalities after they have grown in space. 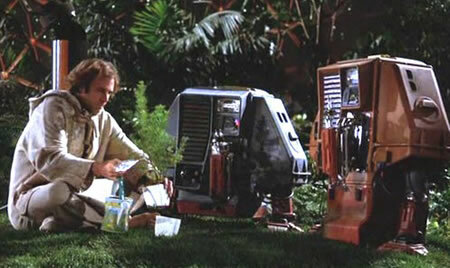 Fans of the 1972 movie Silent Running will also remember (as Winchell Chung did) that Bruce Dern took tended his garden with the help of robots.